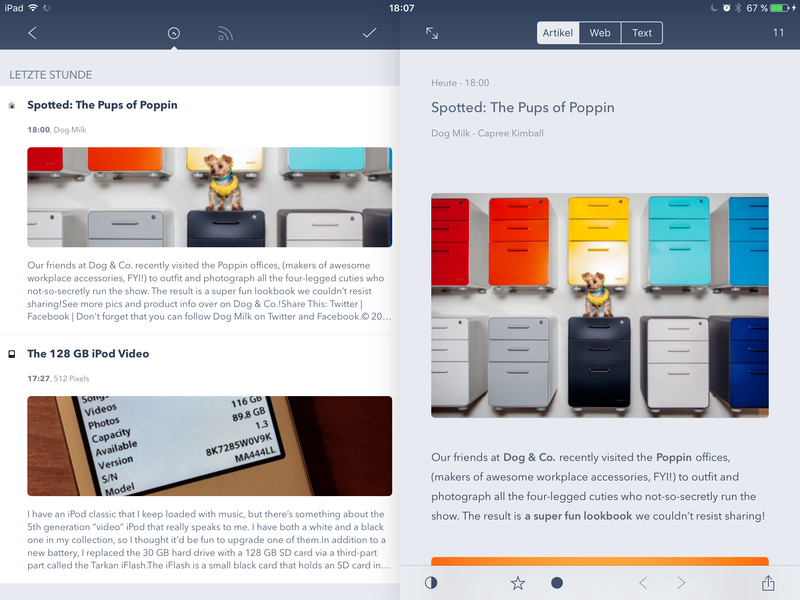 A little update on Fiery Feeds 2.0: It’s going to be a redesign without adding new capabilities. Instead I’m going to focus on removing old code and no longer needed options like the custom share sheet (since third party apps can only be integrated using the system share sheet) or the old web view (in favour of SFSafariWebView – Note: I’m not talking about the web mode in the article view) and lots of custom navigation code, which will be the biggest chunk of work. The plan is to make Fiery Feeds feel like a modern app again, with 3D Touch, Peek & Pop, Drag & Drop, Taptic feedback and to have a modern codebase on which I can build for the coming years. The new layout focuses much more on the article list. 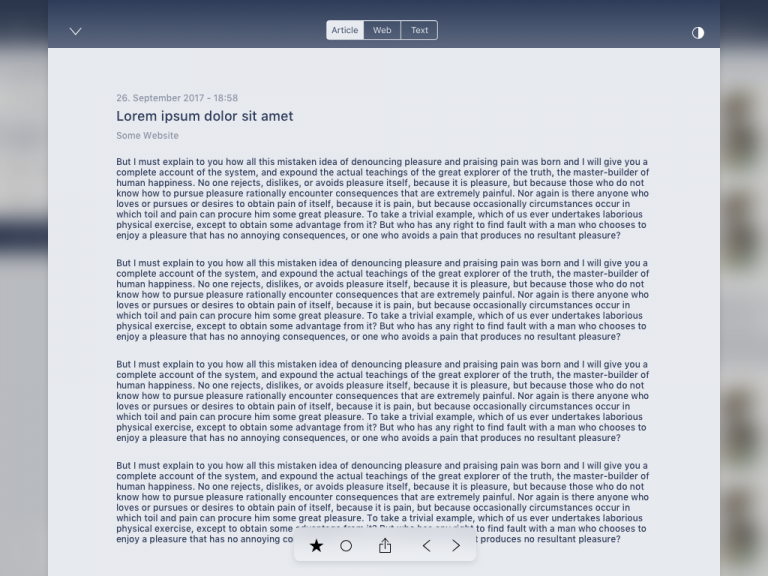 And the article view now uses much more of the screen by default. Please note that these are only mockups. While I am working on the update the current dev build looks nothing like them yet. 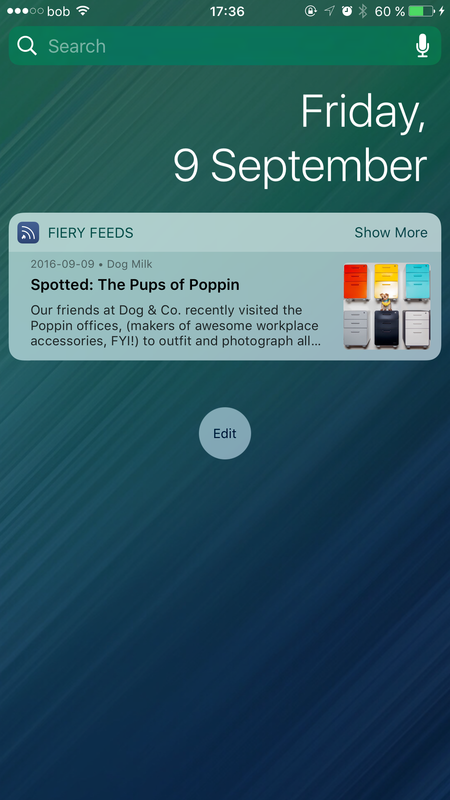 Fiery Feeds will be available as a subscription based app for a year next week and version 2.0 will be a free update to this app. Last year I started offering Fiery Feeds in a new version, a free download with a subscription for premium features. In the linked post I outlined why I believe that (reasonably priced) subscriptions are a better option than paid up front apps in the App Store. It seems Fiery Feeds lives in a niche much to small to offer an ad-supported version. The ads never brought in any meaningful revenue (less then $20 in a year), partly because Fiery Feeds doesn’t (and doesn’t aim to) appeal to a mass audience, and partly because the ads very not placed very prominently. Since I simply don’t want to add more obtrusive ads, I’ve decided to removed all ads, for everyone, and instead focus more on new features for premium. If you’re not already a premium subscriber, I would like to ask you to become one, if not for the additional features, then to support the ongoing development of the app. I am going to raise the price of the subscription to $10 / year once version 2.0 hits the store and existing subscribers will keep their current price as long as they’re subscribed to premium. Fiery Feeds is now almost four years old, and while I’ve added a lot of features, the design hasn’t changed much in that time. Some design decision, like having everything in the navigation bar made sense when the iPhone 5 was the largest device available. I believe it’s time to go back to the drawing board and think carefully about what still makes sense and what to change. I will talk more about this in a future blog post. 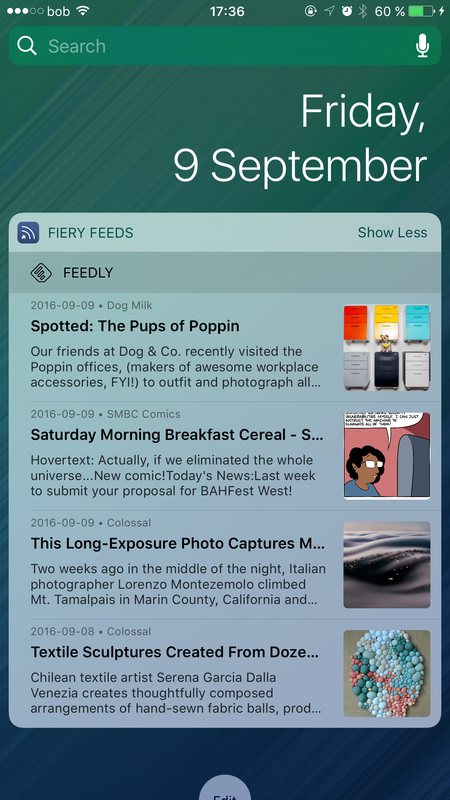 Fiery Feeds is now almost exactly 3 years old, and a lot has changed since I released the very first version. Paid up front is no longer a good fit for the App Store. There are lots of not so great apps, and spending even $5 without being able to test an app first is a hard sell. On top of that a lot of Fiery Feeds’ competitors are already available for free. After seeing other apps like Overcast adopt new business models and Apple allowing subscription pricing for all apps, I’ve decided to move Fiery Feeds to a subscription model. 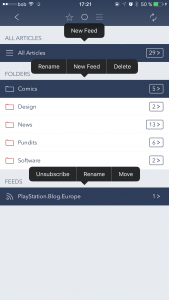 This means Fiery Feeds is now a free app, and you can use it for free as long as you want. 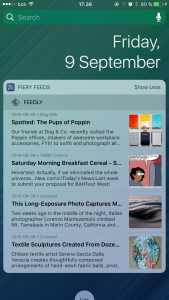 You can download and try Fiery Feeds here. I do expect to add new premium features to the list over time, but the app should be useable without a premium subscription as well. I do believe the subscriptions are very reasonable priced, especially considering how much work goes into making Fiery Feeds. In the past 3 years I have released 39 updates for free for every Fiery Feeds user. That is more than an update every month, and subscriptions go a long way in making sure I can continue improving the app. Thank you to everyone who has purchased Fiery Feeds so far, and another thank you to everyone who became a patron. Nothing, really. The app you’re using is now called “Fiery Feeds Premium” on the App Store. That’s it. It is still available, and it will continue to be updated. 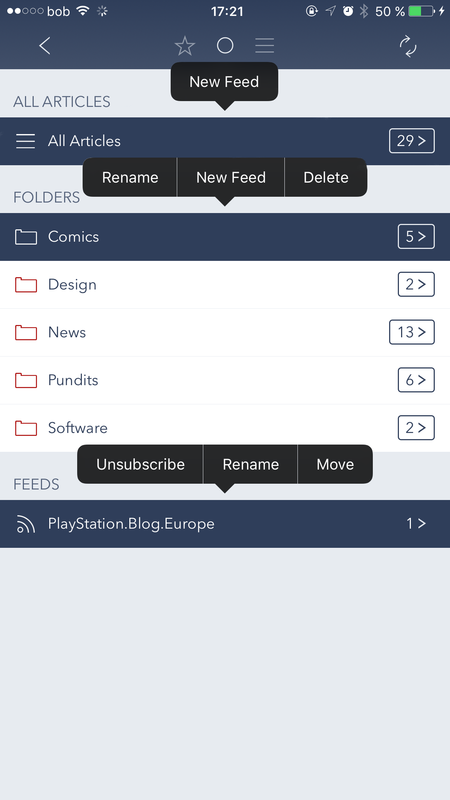 Fiery Feeds now includes full feed management giving you the option, to subscribe, unsubscribe from feeds, rename feeds and folders, create or delete folders, moving feeds and updating feeds on the server1. 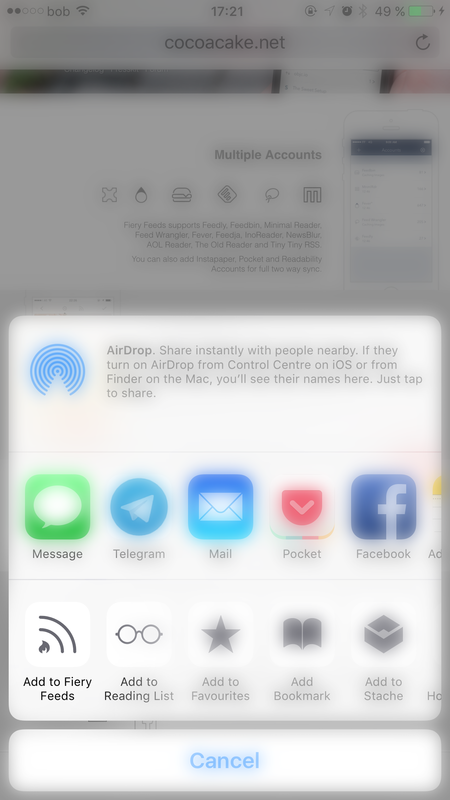 You can even use the included share extension to subscribe to a site or add it to a read-it-later service from Safari or any other app that supports share extensions. Version 1.8 also includes a redesigned and updated today widget. You can now switch between accounts in the widget, see preview images and it supports the new show more / less buttons in iOS 10. The sidebar width can now be changed. 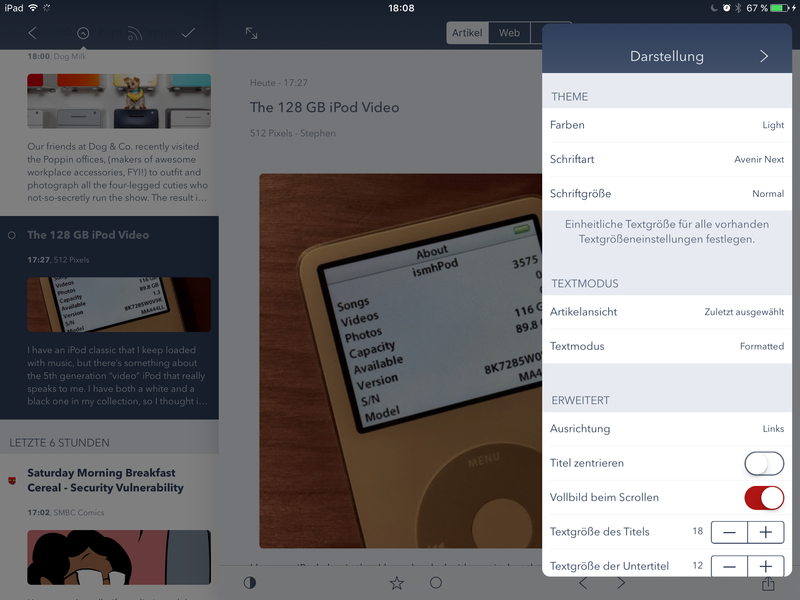 There are now keyboard shortcuts for the article view mode and for scrolling up in an article. You can share the selected text in an article. 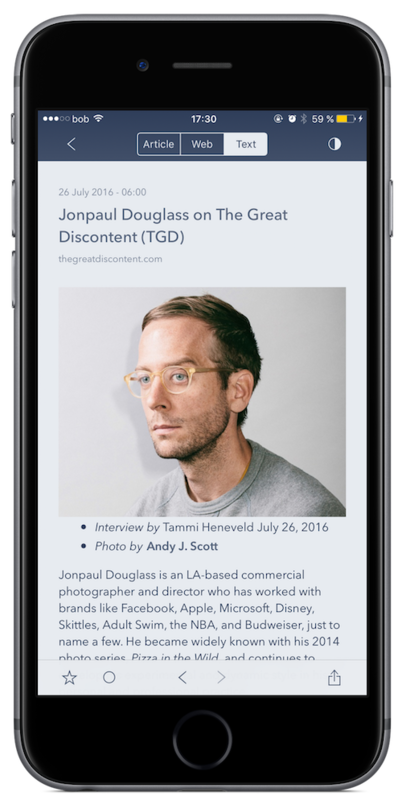 The last selected article view mode is now saved per feed. Fiery Feeds now downloads starred articles, even if they are already read, if keeping starred articles is enabled. 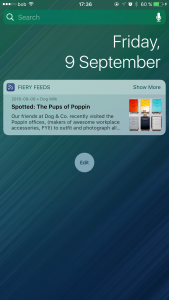 Fiery Feeds 1.7 introduced the three article view modes Article, Web and Text. Where Article displays the article as contained in the RSS feed 1 and Web simply displays the linked website directly in the article view, the Text mode is a little more complicated. 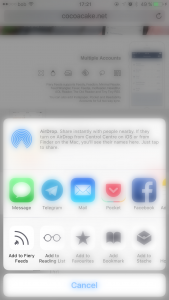 There are three providers for Fiery Feed’s text mode. 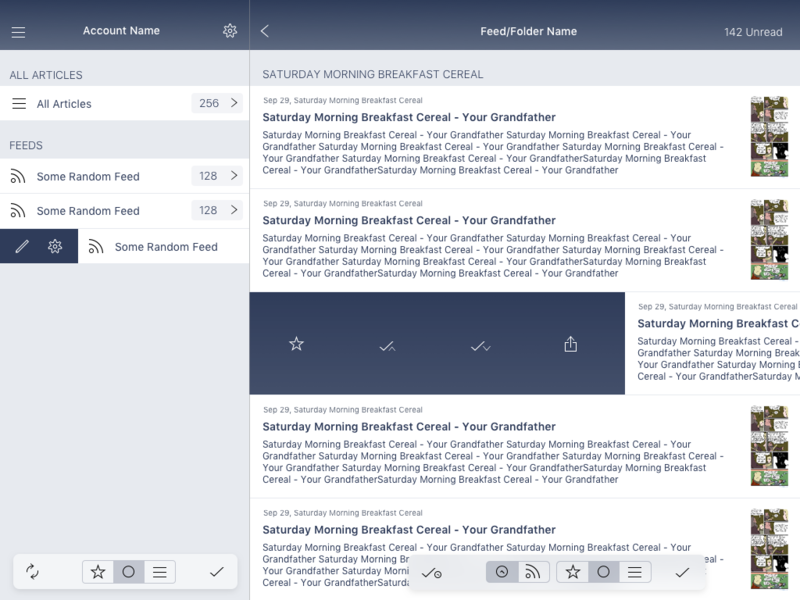 First there is readability, which uses Readability publicly available mobiliser 2 and might break whenever Readability changes their output or ends support for it 3. The other two options are “Formatted” and “Text Only”. Both are open source scripts running on a server provided by Fiery Feeds 4. The Text Only more can parse articles more reliably, but does not include any images or other elements like lists. The thing with providing a service like this is that a server costs money every month, while selling the app brings in revenue just once. That is why Fiery Feeds now also includes the option to become a patron and support both the ongoing development and my ability to provide services like text extraction. 5. If you enjoy Fiery Feeds, please do become a patron. Thank you.